Our challenge was to obtain a clear and defined project brief from our client that incorporated requirements from other medical and dental practitioners to whom the client was sub-letting rooms. This called for close management of the works and the overall project, ensuring the project was delivered on time and within our client’s budget expectations. 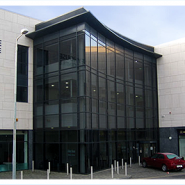 We also needed to deliver seamless relocation from the existing premises to the new premises, including all the complexities that go with a multi-use medical centre such as telecoms and IT. Our first task was to develop a detailed client brief. This included the negotiation of a commercial agreement for construction and fit out with the developer, to ensure the needs of the client were attained. This brief was then communicated clearly and concisely to all members of the design and development teams. We managed negotiations with the developer’s own project team on a regular basis. By attending design team and site progress meetings, we ensured that the client’s brief was delivered on at all times, while we liaised very closely with other medical and dental practitioners. We also put together a budget and programme and obtained buy-in to these from all the relevant parties. At all times, it was ensured that the existing business of the client was never disrupted. The end result was a state-of-the art functional multi-use medical centre which was delivered within our client’s budget and programme expectations and in accordance with the client’s brief.